We’ve already established that Jonathan Bernier is playing, to be kind, less than stellar hockey for the Toronto Maple Leafs. And now we know that Mike Babcock is ready to roll the dice and start Garret Sparks on Monday night when his team takes on the Edmonton Oilers. Bernier has pretty much blown it with the Leafs, having allowed four or more goals in four of his last five starts. He’s winless in nine games. Sparks was selected by Toronto in the seventh round of the 2011 NHL Entry Draft. The 22-year-old from Elmhurst, Illinois, is 8-2-1 with the Toronto Marlies in the AHL. He’s posted a 1.90 goals against average with a .938 save percentage, registering two shutouts along the way. Sparks signed his three year entry level contract with the Maple Leafs in March of 2013 and debuted with the Marlies following three seasons with the OHL’s Guelph Storm. In three regular season games, he was 2-0-1. When the Marlies made it to the second round of the AHL playoffs, he saw 14 minutes of action and stopped nine out of 10 shots. In his first pro season with the Marlies, Sparks backed up Drew MacIntyre and saw ECHL action with the Orlando Solar Bears. So now, he’s going to have to find his game in a hurry as the Maple Leafs turn to him. 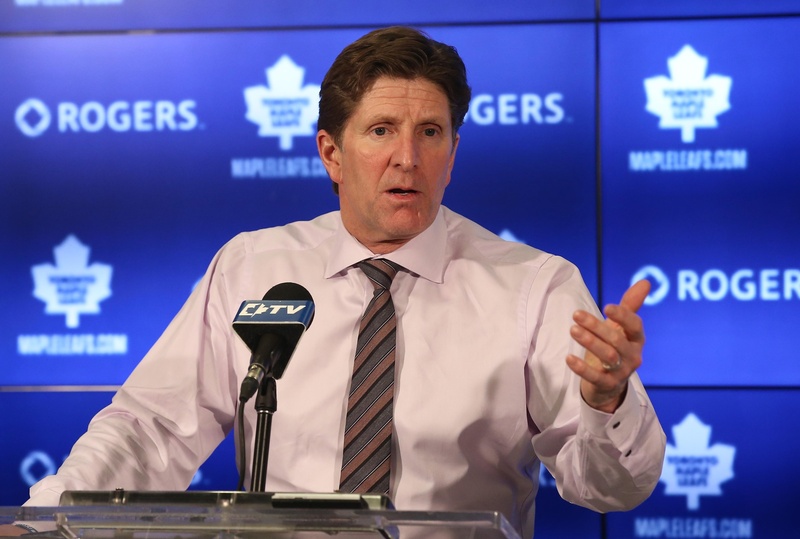 This isn’t what would be called a measured decision, but Babcock is out of options right now. He thought about putting Sparks in goal after Bernier flopped against the Capitals on Saturday, but he didn’t want to make an “emotional” decision. Now, it looks like the kid is in the picture. At 6’2, 200 pounds, Sparks has the size to compete at the NHL level. He covers a lot of the net and blocks a lot of shots. He’s also gifted at seeing through traffic and has been building into a consistent netminder, but injuries have been an issue. Sparks will have his chance to prove himself on Monday night and Toronto has to be hoping the gamble is worth it. The good news is that Reimer practiced on Sunday, which has led some to the suggestion that he could play Wednesday night against the Winnipeg Jets. Now that would be something. Previous What’s the Deal with the Arizona Coyotes?